1) Let’s start out with the obvious question…what brought you to the decision to write The Sword of the Lord? 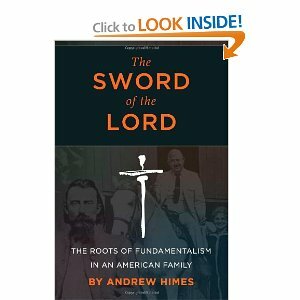 Andrew Himes: I felt compelled to understand my own life and my family’s history, which has been so bound up with the history of fundamentalism for many generations. I had a pretty tough time growing up in my family, which boasted many Baptist preachers, while I was a black sheep, unreconstructed rebel, and general trouble-maker. I was a special problem for myself and everybody else too, because my granddad, John R. Rice, was perhaps the most influential fundamentalist in the US for decades in the mid-20th century. By the time I was in my 30s, I was powerfully motivated to explore and write about our common history. After Granddad’s death in 1980, it’s taken me three decades to develop enough humility, wisdom, and capacity for love to be able to write this book. Andrew Himes: First, my own massive ignorance. It turns out that I knew little about religious history or aspects of US history that were informed by evangelical Christianity. I had to read and reference over 200 books in order to write my one book. Every time I thought I had written a complete story, I read yet another author and discovered another gap in my knowledge and understanding. Another challenge was that I wasn’t trained as a professional historian, yet I wanted to write a compelling story that was also accurate, truthful, balanced, analytical, and fully referenced. So I had a lot of learning to do! 3) The book is obviously deeply personal as it’s all about your family. Did you face any resistance in writing about your family’s history? Andrew Himes: I think its most passionate audience will be conservative evangelicals and fundamentalists, because it’s a valuable history of the times and people who framed that religious tradition and community, and largely unknown, especially to younger evangelicals. It will also be fascinating for Christians from mainline Protestant, Catholic, and emergent communities, because it will help them understand the evangelical world in a new and more compassionate way. And it will be interesting to a general secular audience because it reveals core threads of American political and religious history that have been little understood–including both the rise of the Religious Right and the role that evangelicals have played in struggles for separation between church and state, to end slavery, create equality for women, and work for social justice. Andrew Himes: Absolutely yes. I came to a much deeper appreciation of my granddad and grandmother and the rest of my large and wonderful family. I summed up how valuable my upbringing was and how much I am shaped by my family and our heritage. So now I can go on to consciously live up to that heritage. As I came to understand how the trauma of war, violent conflict, and economic insecurity affected the lives of my ancestors, I developed much more compassion for them. 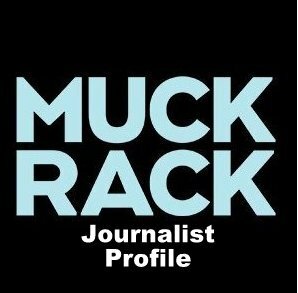 From my modern context and point of view, I might judge my ancestors of 150 years ago as doing indefensible, incomprehensible, and evil things. But when I see them in the context of their own place and time, I have to grant that they were doing the best they knew to do, and from motives that they believed were pure. I think we are talking about generations of people suffering from PTSD (post-traumatic stress disorder). And we need to work consciously at our own healing. So I think I’ve become a better listener and more compassionate person as a result of writing the book. Surprisingly, I’ve developed more compassion for myself as well, and the crazy, angry, screwed-up kid I was when I was growing up in my fundamentalist family. 6) What is some of the initial feedback you’ve received about the book? 7) What’s next for you and the book? What is the best way for readers to stay updated with you? Andrew Himes: May 16th is the date for the final release of the book. The final edition will have a new foreword by Parker Palmer, plus illustrations, a timeline, and a study guide. We hope to have 100 blog reviews posted by that date, and are recruiting 1000 people to buy the book on Amazon on May 16th, which will catapult it into the Top Ten bestsellers on Amazon that day. To join the Amazon campaign or to apply for a free review copy if you are a blogger, come to www.swordofthelordbook.com. Click on the Subscribe button to keep up to date with my newsletter. You’ll find links on my web site to follow me on Facebook and Twitter. Previous PostTHE SOCIAL ANIMAL – The Hidden Sources of Love, Character, and Achievement by David BrooksNext PostMark to Margaret – An Accounting of a Uniquely American Conversation – or What’s Boiling After Bin Laden?